Electrify Everything & Save The Planet! 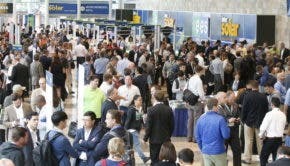 Ready For California’s Biggest-Ever Solar & Storage Exhibition? InterSolar North America exhibition and conference will be held July 11 - July 13, 2017, in San Francisco, California, and will be the most-attended solar-plus-storage event in the United States. This is the 10th anniversary of this event!